Based in Port Camille Rayon Golfe Juan close to Cannes on the Côte d’Azur ( France ) , NTK Marine offer the expert knowledge and professional expertise to ensure the smooth running of all aspects of yachting : chartering the largest and finest yachts in the world. NTK Marine offer you a various selection of luxury motor yachts . NTK Marine is also the exclusive importer of VanDutch boats, a real day-cruiser which offers an incredibly welcoming cockpit. We have charter yachts, according to different sizes, styles and budgets in different locations . NTK Marine is your specialist for charters. We propose you charters in Cannes, Monaco, Saint-Tropez and all around the French Riviera to relax with family and with friends. 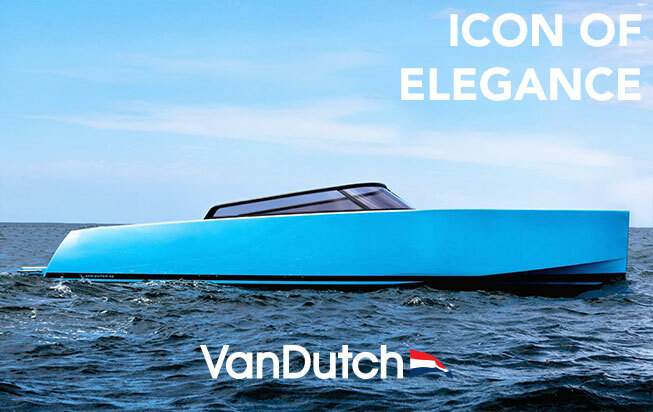 VanDutch is also the perfect luxury yacht tender for your event. New!! We offer now the possibility to organize your wedding on a yacht on the French riviera, a successful event for unforgettable memories. Our experience has secured us a reputation for quality, reliability and the highest level of professionalism from our dedicated team.